CK Dance Theatre is a Christian-based dance and tumble studio. CK offers classes to ages 18 months through adult. 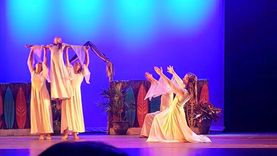 CK Dance Theatre's commitment to excellence and Christian principles will inspire a true appreciation and heart for dance and tumble in its students. By promoting creative expression through a diverse array of dance forms, CK Dance Theatre offers quality dance and tumble instruction by an exceptional staff in a safe, non-competitive and nurturing yet structured environment. We believe we are called to use the gifts that God has blessed us with to be a blessing to others. 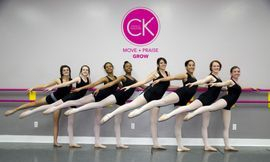 CK Dance Theatre is unlike any dance studio in its area simply offering dance and tumble instruction and an appreciation for the art of dance; it is also one that is Christ-Centered and instills a standard of excellence in all its students. Excellent dance instruction with the whole dancer in mind! Love the character cards! Thank you for making my dancer's transition a smooth one! I love seeing the support of each other within the class! Priceless! I was overall tremendously impressed with the preparation and implementation of the dance show. The costumes were beautiful, the performances were entertaining, the music was fun, the staff was friendly...everyone I was with raved about what a great time they had. I researched a lot of dance studios in deciding where to take my little girl. I am so thankful I chose CK Dance Theatre, and look forward to many shows to come! CK Dance Theatre is the whole package! Thank you for all you do for our children and the community! I already have recommended CK Dance to a number of friends, most of whom have followed through! :-) I LOVED the concert! My parents did as well. I had convinced them to fly up from FL for it, and they were somewhat reluctant, but ended up being so impressed.